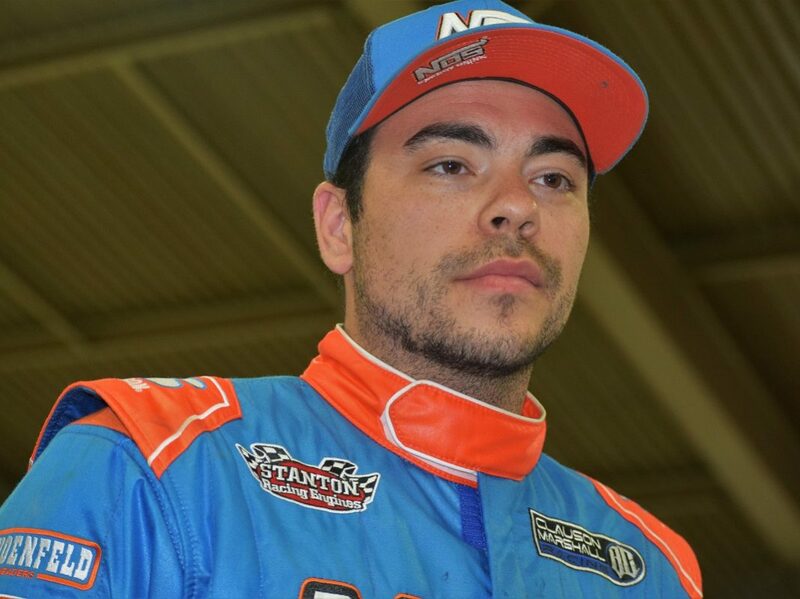 INDIANAPOLIS – Chris Windom has added another piece to his expanding racing calendar, joining Clauson-Marshall Racing for a full NOS Energy Drink USAC National Midget Series campaign. 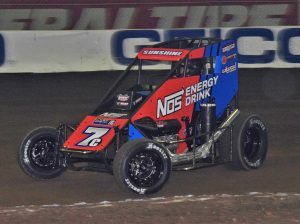 The news came as part of NOS’ announcement on Monday night of a two-car midget program with Clauson-Marshall for the upcoming USAC season. 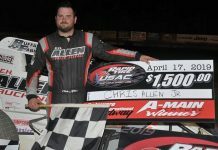 The former USAC Silver Crown and AMSOIL National Sprint Car champion will pilot the No. 17bc, while returning Clauson-Marshall driver Tyler Courtney wheels the No. 7bc again this year. Windom’s signing with Clauson-Marshall gives him a ride in all three USAC National divisions for the upcoming season, as the Canton, Ill., native takes his shot at becoming the seventh driver in history to complete the USAC Triple Crown. “I lost two deals over the winter, but picked up two really solid rides and now I’ve added a great opportunity with Clauson-Marshall that I’m looking forward to starting this week in Florida,” Windom told SPEED SPORT. “To have NOS Energy Drink as the primary sponsor of our No. 17bc this season is a huge deal; they’ve been a huge supporter of my career over the past few years and it’s an honor to represent them and their brand. Windom noted that his partnership with NOS Energy Drink was key to his signing with Clauson-Marshall. Now, Windom turns his focus to becoming the first man since Tracy Hines in 2015 to complete the trifecta. Meanwhile, Courtney comes back to Clauson-Marshall fresh off his first AMSOIL USAC National Sprint Car Series title, earned with the team’s sprint car operation last fall on a tiebreaker against Kevin Thomas Jr.
Courtney won two USAC national midget features last season, including a crown-jewel victory during the 4-Crown Nationals at Ohio’s Eldora Speedway, and is looking to add to that success this year. Additional announcements about Clauson-Marshall Racing’s full-time lineup for the USAC National Midget Series season will be forthcoming, but team owner Tim Clauson is glad to have the services of two veterans leading his team this season. “Obviously, to have Sunshine (Tyler Courtney) back with us is a big deal, and we’re really excited about adding Chris (Windom) for the full schedule this year,” Clauson noted. “Having those two guys together … they’re really good friends off the track and I think they complement one another really well from a driving standpoint.